Shipping $10.10 Add item to cart for shipping estimate. You can SAVE on shipping by buying multiple items from the same seller. Shipping is charged by each individual seller. Sellers at times may also provide FREE SHIPPING on select items or on entire order if it meets the minimum order value. Please check sellers page for more details. 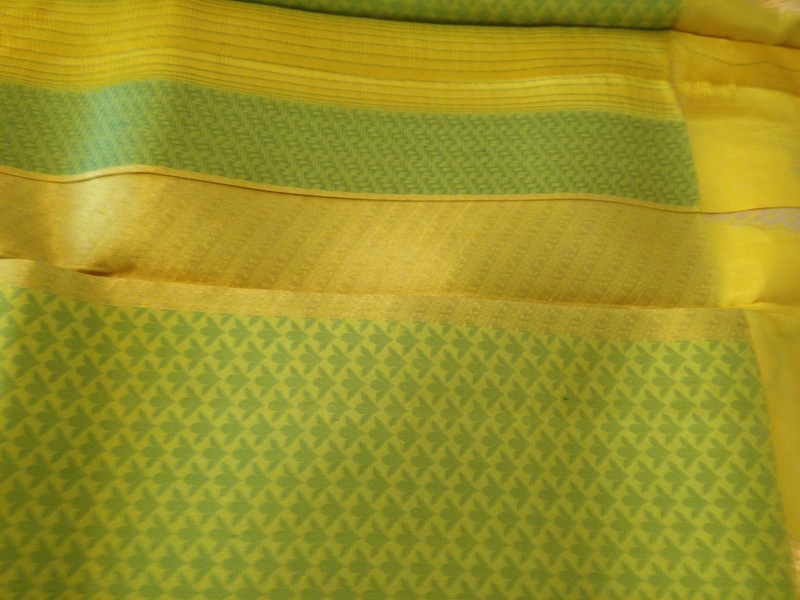 Stunning traditional design saree in Yellow color body with green printed design. Shipping Cost $10.10 Buy multiple items online from Unique Indian Products to SAVE on shipping. 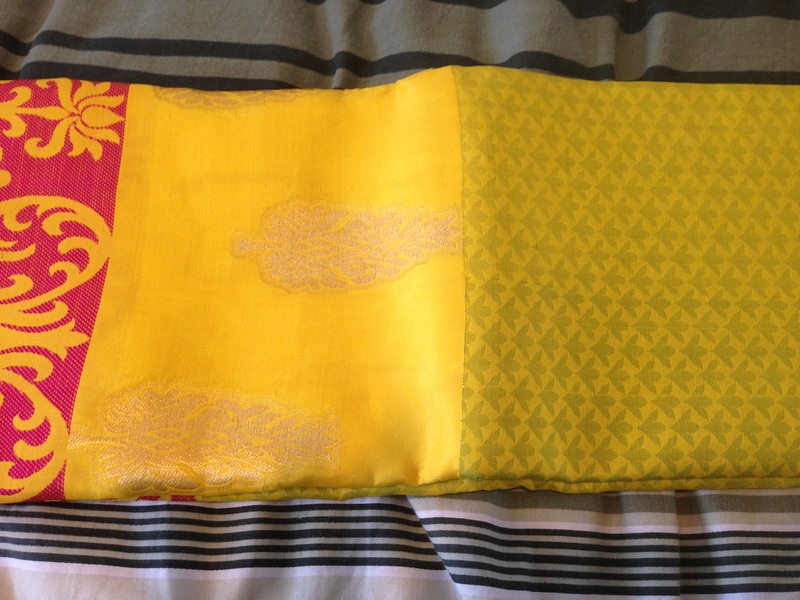 This item in Indian Sarees category was first added to our catalog on 10-09-2017. Buy Kancheepuram Silk Saree, Light Weight Temple Sari in Yellow Green, sold & shipped by Unique Indian Products where you can shop online for Kalamkari Sarees, Party Salwars & Temple Jewelry. 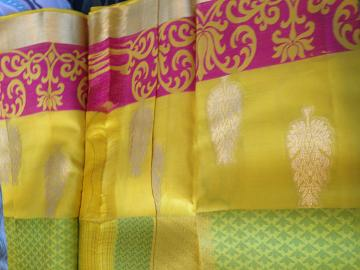 This Kanchipuram Silk Saree collection has been tagged as Kanchipuram Saree, Indian Dress, Indian Sari, Women Clothes, Traditional Dress.